IF you were out on the water and saw a distressed turtle would you how to help it? That was the purpose of the marine animal stranding training course being run by the Queensland Parks and Wildlife Service. 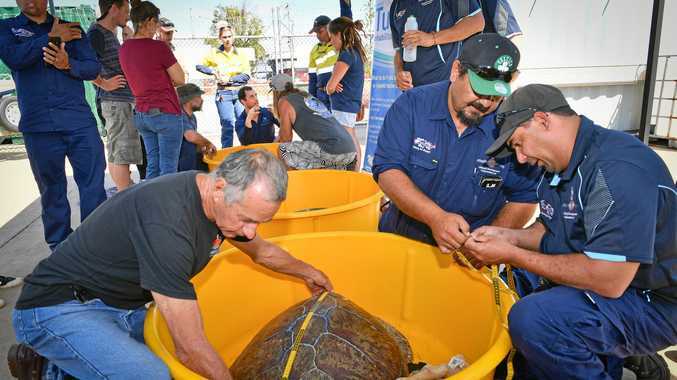 Over 30 volunteers visited the Gladstone Area Water Board Turtle Rehabilitation Centre to get some hands on experience measuring and handling the animals. GAWB hatchery and fisher manager Thomas Hayes said the more people who can help the better. 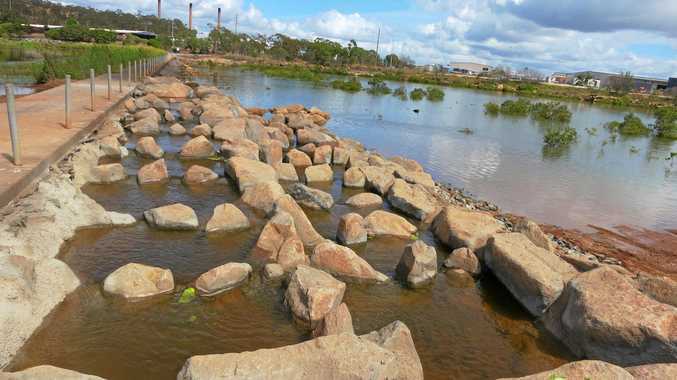 "We have a such a big fishing community around Gladstone so potentially there's a lot of people who can spot and help sick or injured turtles," he said. "Turtle strandings are sporadic and seasonal as during winter they lose a bit of condition. "If they have a biological ailment or they're tangled in a net or fishing line that's another factor. "Most of them come in as 'floaters' and that's when they're most at risk from boat strikes as well." Mr Hayes said the most important thing to do in the event of finding a distressed turtle is to immediately call 1300ANIMAL and stay with the animal if possible. "This is a 24 hour service run by the RSPCA and they'll guide you through the steps you need take," he said. Mr Hayes said over the past five years, the GAWB Turtle Rehabilitation Centre had helped over 50 turtles, ranging in size from a few grams to 217kg. Over the past eight years Queensland Parks and Wildlife Service has established an extensive network of volunteers that assist by responding directly to reports of stranded marine turtles in the Great Barrier Reef Marine Park.